Videoconferencing can be a convenient and cost-effective tool allowing one or more people to attend a deposition, arbitration, or meeting from one or more remote venues. 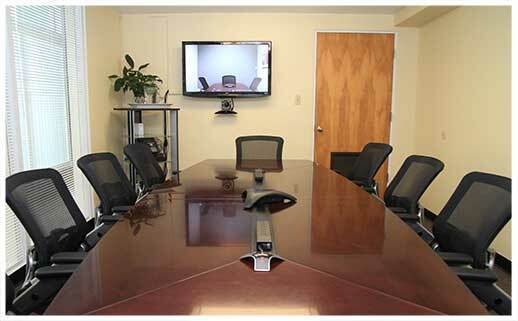 Our conference rooms are equipped with the latest in video- and webconferencing technology, offering remote attendees an array of connection options via our videoconferencing platform, computers, or mobile devices. As the closest court reporting firm to the Tucson airport and next to downtown, our conference rooms are conveniently located whether you are coming from out of town or are local. From the free parking and complimentary refreshments to wireless Internet connections, our concern is to make your deposition the most efficient and productive possible. Our support staff is ready to facilitate your every administrative need during your deposition, arbitration, or meeting.